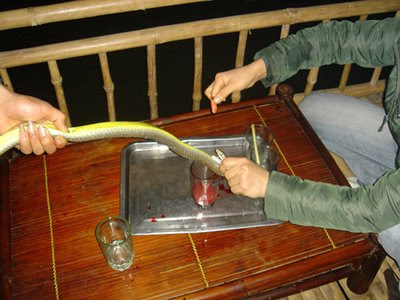 Just cut the head of the snake and place the blood directly to the glass and add some alcohol or snake gall and then drink it.. 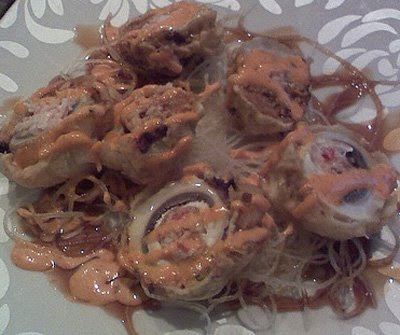 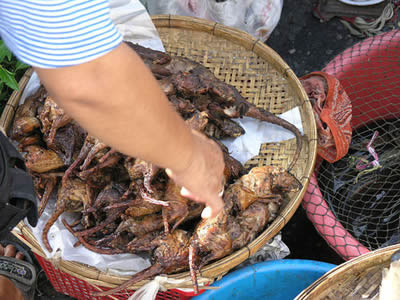 This food is common in vietnam and Thailand, the rats that they used is a forest rats. 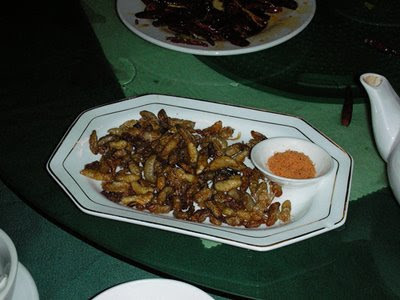 This food was famous in china and japan, it’s really simple to prepare this disgusting food, just to fry this bee larva and added some salt and pepper, this bee larva was sweet and really delicious even the appearance of this food was so awful.. the chinese and japanese people treat this food as a highly nutrient snack. 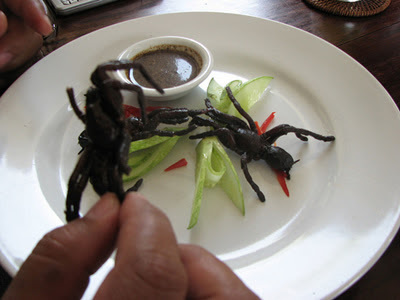 Cambodia and many south east asia country thought that this kind of food is a unique food, and cambodia was known as the insect eaters in the world, there’s a small town in cambodia with the name Skuon which also known as Spiderville, in this town the spider was treated as the favorite meal..